Now active kids can enjoy a drink specifically formulated for them. 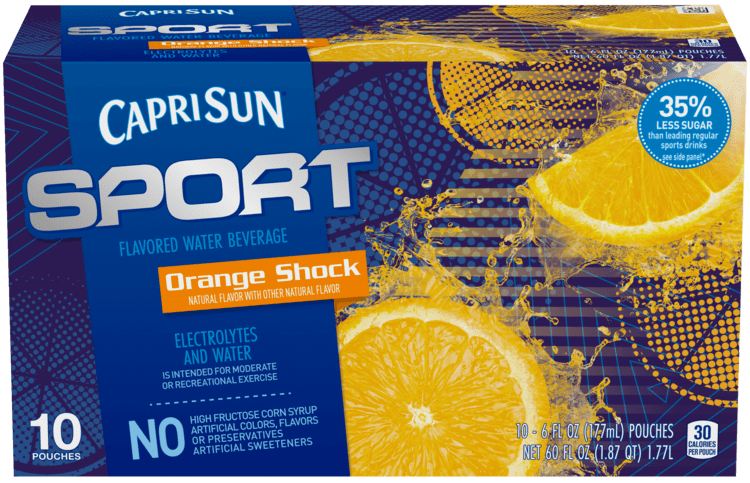 Capri Sun Sport Flavored Water Beverage contains a blend of electrolytes and water. With no artificial colors, flavors, or preservatives, and 35 % less sugar than leading regular sports drinks*. It's the drink designed with the way kids play in mind.